LinkedIn today launched Lead Gen Forms. This new feature in Sponsored Content campaigns removes a huge barrier on mobile devices: filling out forms. 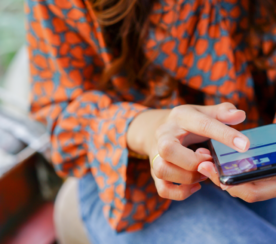 Even though people are using mobile devices to do just about everything today, conversion rates still tend to be much lower compared to desktop conversion rates. 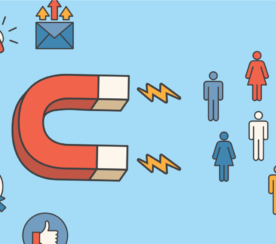 With the new Lead Gen Forms, LinkedIn hopes to fix that problem on its own platform. This is especially important for LinkedIn considering that 80 percent of its users who engage with Sponsored Content do so on smartphones. Whenever a user clicks on one of your ads, LinkedIn will pull their information from their profile and automatically populate an in-app form. That means users won’t have to type in all their info into the typical lead generation form, which is usually a pretty painful experience on mobile. After users have submitted a form, advertisers can either show an in-app thank you page that sends people to your content or website. 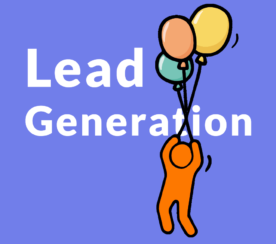 LinkedIn said its version of Lead Gen Forms are more valuable than the typical website lead gen form. This is because this data is pulled from someone’s LinkedIn profile, whereas when people are filling out a website form they can enter false or incomplete information. That means you should see higher quality leads. 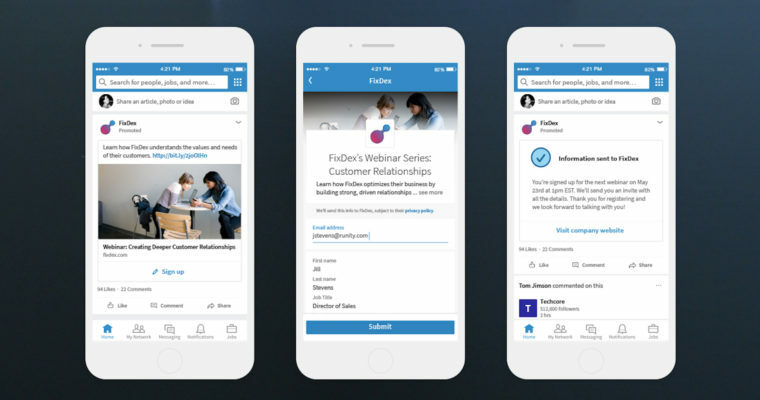 More Lead Gen Forms: For now, Lead Gen Forms are only available for Sponsored Content campaigns on LinkedIn’s mobile app. Later this year, LinkedIn said Lead Gen Forms will be available on the desktop, as well as for Sponsored InMail campaigns (mobile and desktop). Lead management: For now, advertisers can download lead lists from Campaign Manager or sync leads with any marketing automation or CRM system through LinkedIn’s partners Driftrock and Zapier. In the future, LinkedIn said marketers will be able to send lead data directly to Marketo, Eloqua, and Microsoft Dynamics accounts.